Self-confidence and self-control are two of the biggest reasons people study martial arts. Let’s look at how self-control factors into our training. Self-control, or Guk Gi, is learning how to remain calm during stressful situations, particularly in controlling one’s emotions and desires in one’s behavior. In other words, maintaining your temper. It takes self-confidence in order to have self-control. A person who is confident in themselves has less reason to fly off the handle and prove themselves. Every now and then a student who is doing well in their training will let it go to their head. He becomes pretentious and wants to showoff what he knows by trying to take me down, or at least getting a couple good shots in on the old teacher. So he challenges me and we spar. He’s young, quick, strong and will use this against me. He comes at me hard, and I knock him down. Slightly shaken he gets up and comes at me harder, and then I’ll knock him down again. Believe it or not, this will continue, and each time he becomes more and more frustrated. Finally, he realizes he’s letting his emotions make decisions. You see, the hot-headed person makes bad decisions. They don’t think clearly when their emotions are wrapped into the situation. 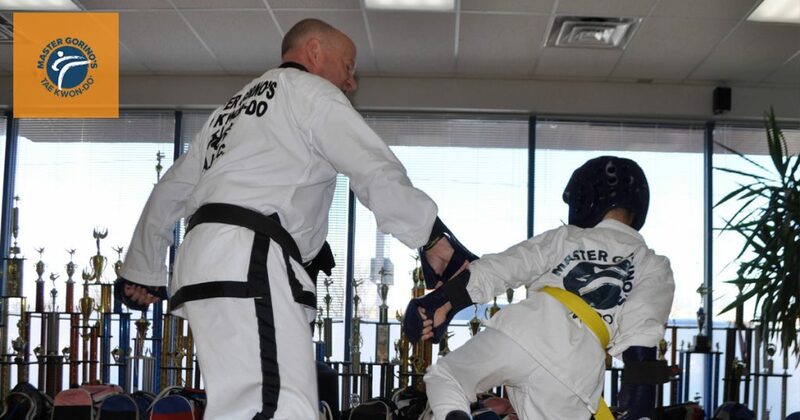 Sparring, especially at a tournament, is a stressful situation where you must have self-control in order to succeed. If your emotions get the better of you, you lose. We spend a lot of time talking to our students about dealing with these emotional issues ahead of time. For example, what happens if you get punched in the face? Or get the wind knocked out of you? Will you get angry? Or cry? Or be embarrassed? Understanding how to deal and what to do during these situations will build your self-control. When you have self-control your environment becomes much clearer and you’ll make better decisions. This is true in Tae Kwon-Do as it is in life.